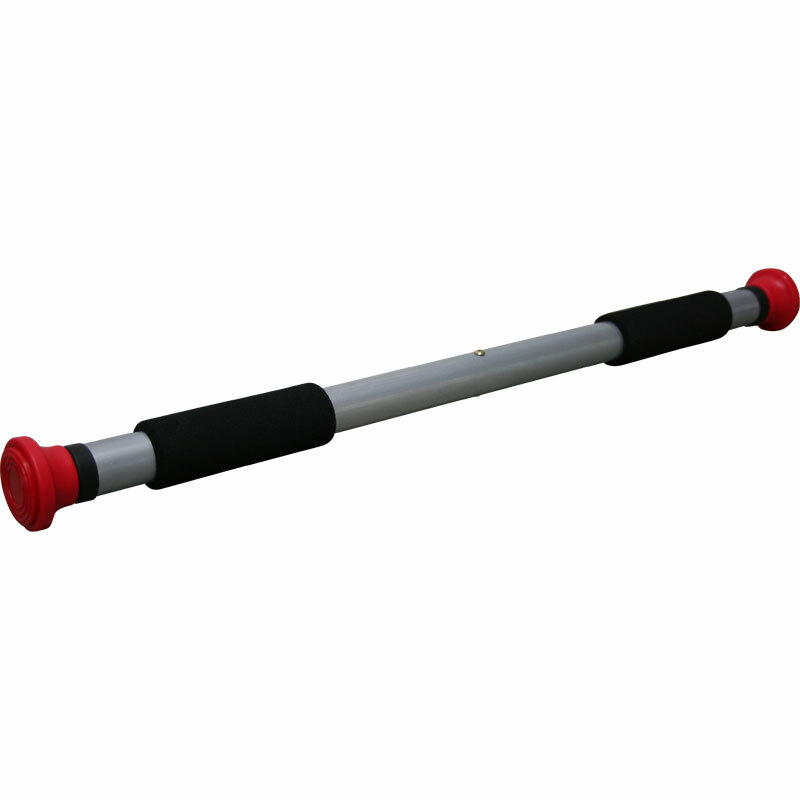 Turn your door frame into a workstation with the Fitness Mad Deluxe Doorway Gym Bar. For use high up the door frame for pull ups, crunches and chin ups. For use low down for sit ups or an abdominal workout. Double action opening makes the door gym quick to set up. Large non-marking pads ensure a secure grip and prevent damage to the door frame. Suitable for door widths from 63cm to 100cm with a door jam of at least 6cm. Not suitable for door frames made of soft wood, door frames in stud walls or adjacent to a window frame.